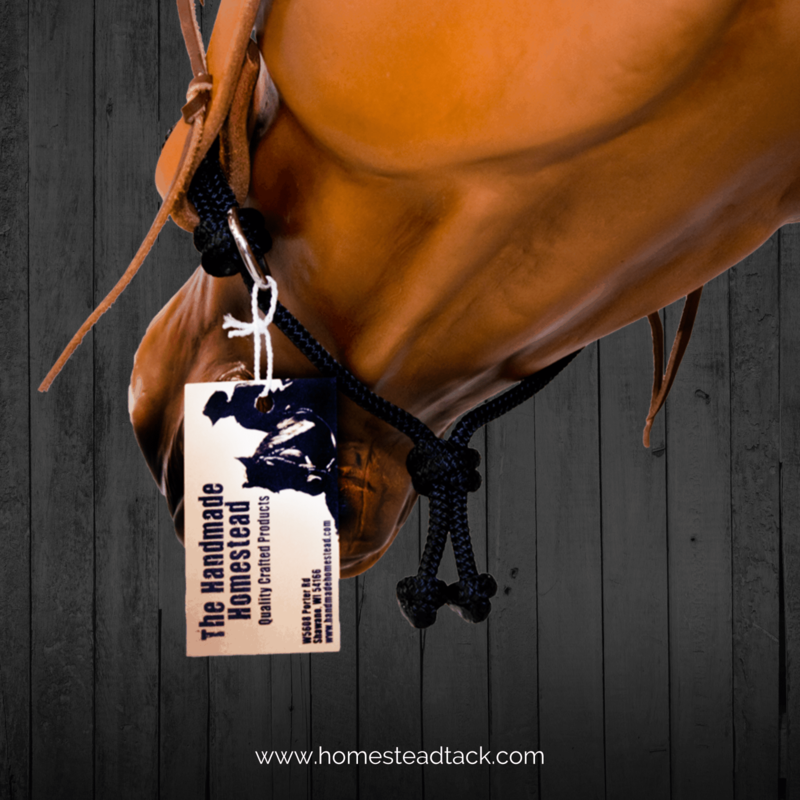 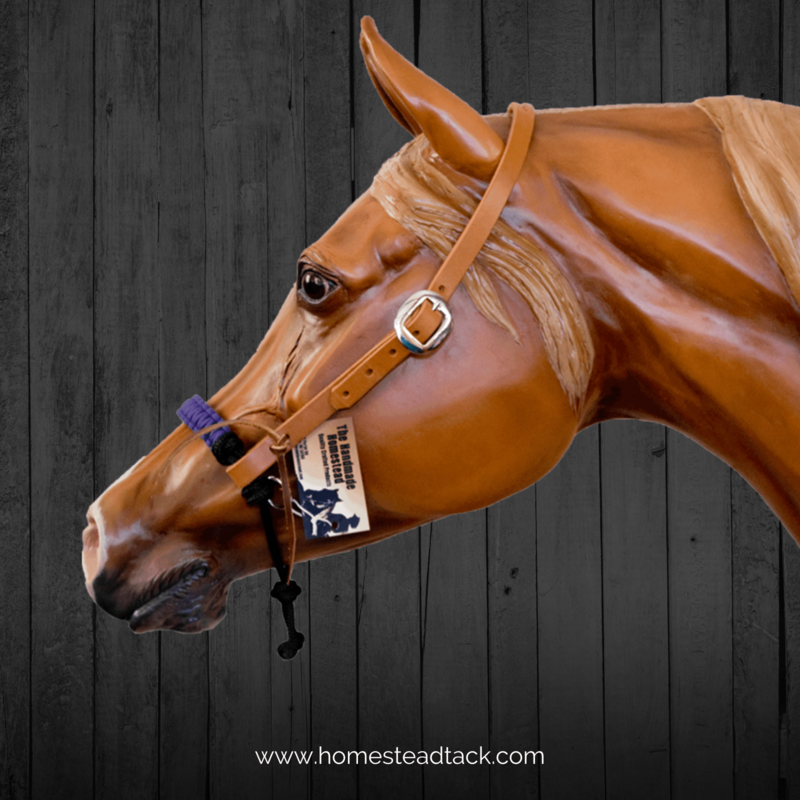 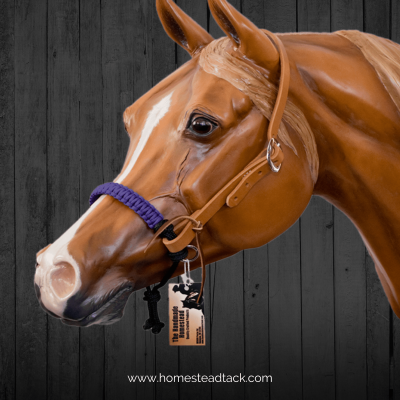 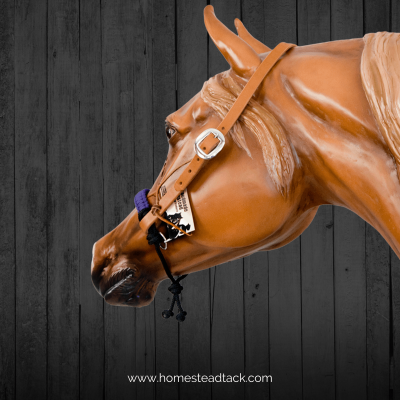 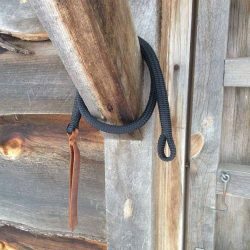 The Side-pull attachment is a great solution for horses who do not like bits. It may be attached to any type headstall, either Western or English in style. 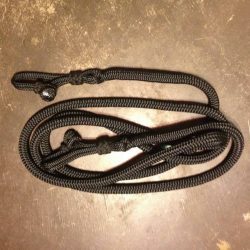 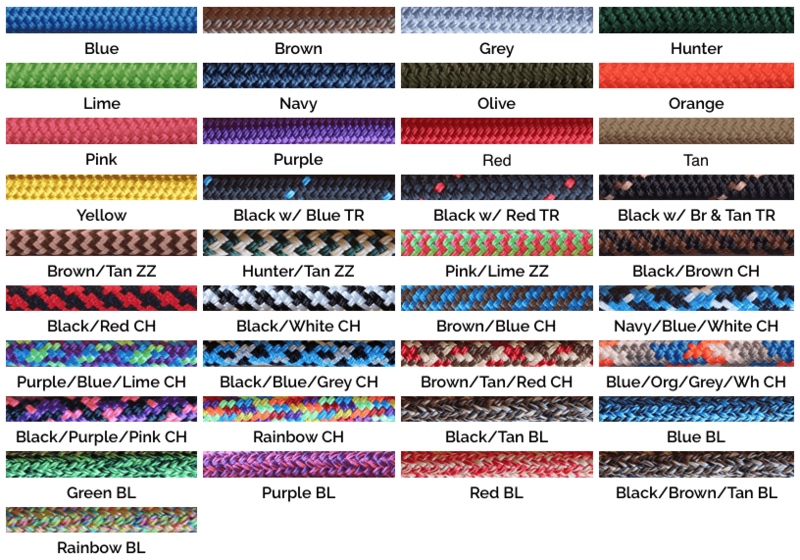 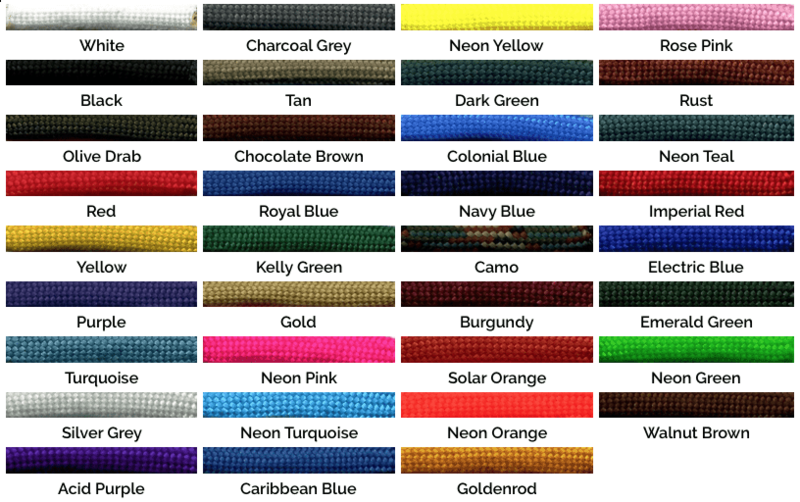 It comes in your choice of soft yacht rope or firm halter cord. 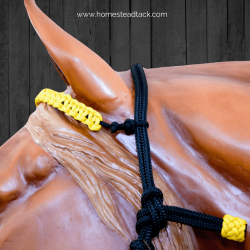 I have also woven paracord (purple is pictured) on this halter around the noseband for a softer feel for the horse and a pleasing look to us. 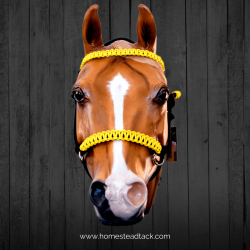 You can also request to have a spiral weaved noseband instead. 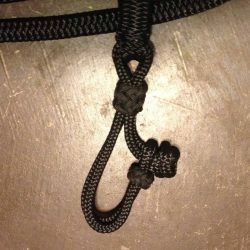 Learn how to make your own side-pull HERE in my step-by-step video course.